This CHARMING RANCH got REJUVENATED w/New paint, flooring, doors & fixtures thruout! Lovely, eat-in kitchen features painted cabinets, new hardware, NEW GRANITE & faceted tile splash & STAINLESS APPLIANCES. Vaulted family room features brick fireplace & glass slider to back deck. Bathrooms have updated tile showers & floors, new GRANITE TOP vanities & new fixtures. Updated iron spindles. LL has Rec room & Non conforming bdrm w/full bath! BONUS-An AWESOME GREENHOUSE! Near Weatherby Lake, the National, & Zona Rosa! Kansas City is located in Missouri. Kansas City, Missouri 64152 has a population of 475,378. The median household income in Kansas City, Missouri 64152 is $45,376. The median household income for the surrounding county is $68,638 compared to the national median of $53,482. The median age of people living in Kansas City 64152 is 35 years. 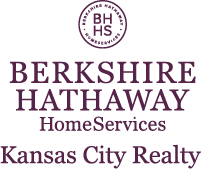 I am interested in 10040 NW Blum Road, Kansas City, MO 64152.